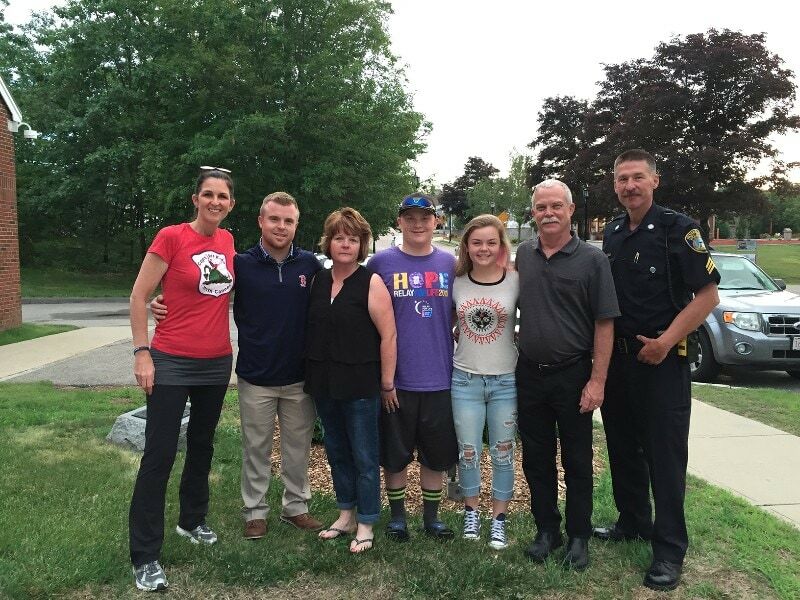 On June 16, 2015, Cops For Kids With Cancer went to the Norfolk Police Department and made a $5,000.00 donation to the family of Greg Jacobson, a 17 year old boy from Norfolk, who has Rhabdomyosarcoma. In photo left to right. Helena Rafferty, CFKWC, older brother Marc, Mom Sue, Greg, twin Sister, Kathryn, Dad Bruce, Sergt. Robert Shannon.